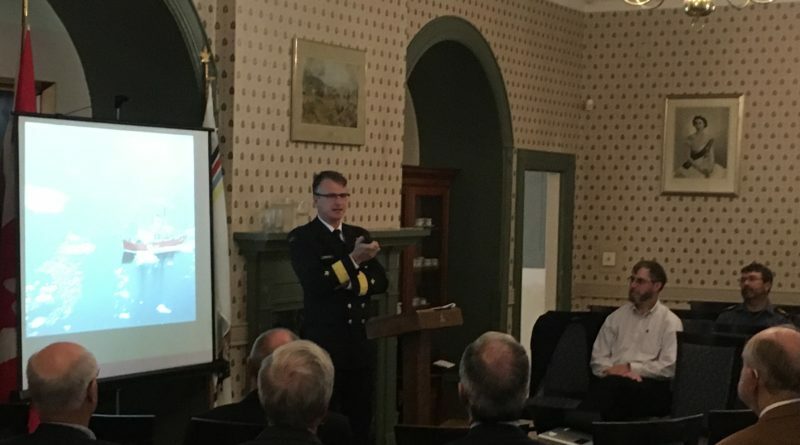 On September 20, RUSI(NS) welcomed Chris Henderson, Director General National Strategies, Canadian Coast Guard (CCG), as the Institute’s September 2017 Distinguished Speaker. Mr Henderson gave an enlightening presentation on the present and future capabilities and priorities of the CCG to a large and interested audience of civilians and military. Mr Henderson presented a broad overview of the CCG with a focus on several priorities and successes of the federal department. Similar to the Royal Canadian Navy, the CCG is in need of new ships if the organization is to fulfill its various duties. 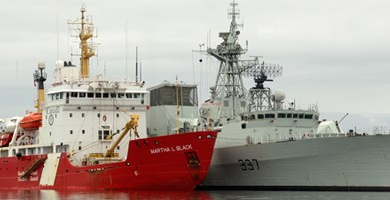 Particularly, there is an urgent need for icebreakers for the Canadian Arctic. As he explained, as the ice patterns change in the North, there will be increased tourism, fishing and commercial traffic passing through northern Canadian waters. Specifically, as ice disappears larger deep sea vessels will start using great circle routes close to the North Pole. This will not mean that the entire North will be ice free but rather it will shift south to different areas. It will be vital to Canadian interests to have vessels capable of operating in these changing conditions. Further along that vein of thought, Mr Henderson explained the CCG’s commitment to continued and further cooperation with all the various stakeholders with whom they deal. For example, it was appropriate that officers from the Navy’s Harry DeWolf were present. 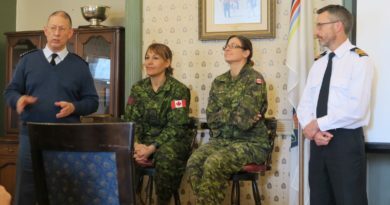 When the new Arctic and Offshore Patrol Vessels (AOPV) start northern operations, the CCG will be able to pass along valuable local knowledge. 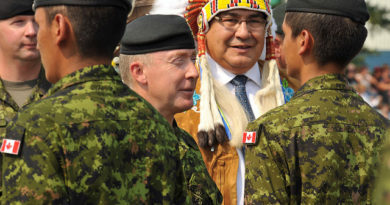 In turn, the CCG receives much of their local knowledge from the various northern indigenous groups which has been a partnership with a long and fruitful history of cooperation and respect. Finally, staying with the North, due to mutual Arctic concerns, the CCG is a valuable communications conduit with countries such as Russia. This relatively small federal department plays many important roles within the broader federal government’s pantheon of organizations. Mr Henderson was confident of the CCG’s future. In 2016, the government of Canada laid out the Oceans Protection Plan to improve marine safety and responsible shipping. To that end, under the Canadian Coast Guard Fleet Renewal Plan, new ships are under construction and planned. The new fleet of 15 light-lift and seven medium-lift helicopter are being delivered on time and on budget. The CCG has been given a broader mission and they are happy to take on whatever challenges with which they are tasked. RUSI(NS) was appreciative of Mr Henderson’s presentation and insight into the workings and future of the CCG. As a mark of respect, the new official Canadian Coast Guard march, The Ol’ White Stripe, was played in honour of Mr Henderson’s visit.